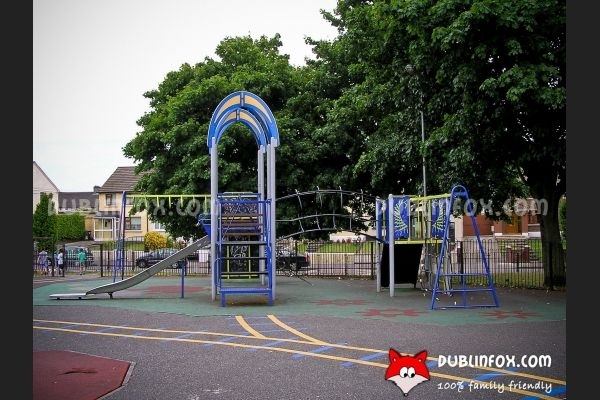 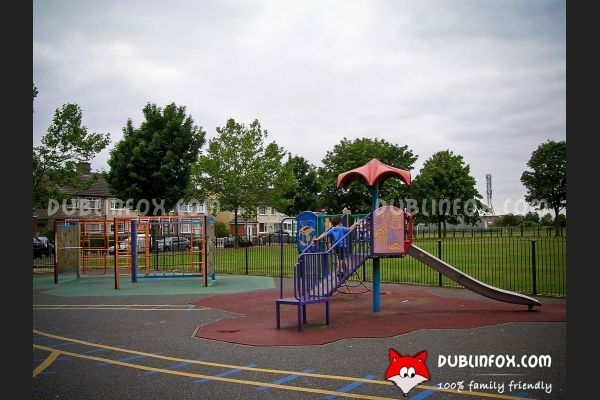 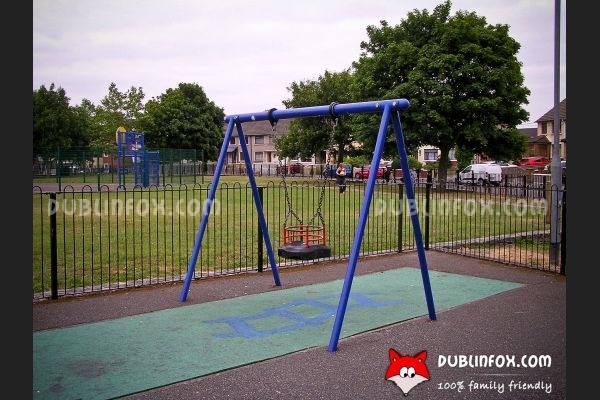 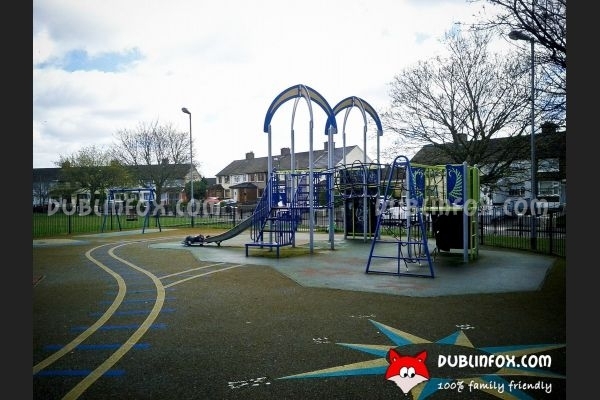 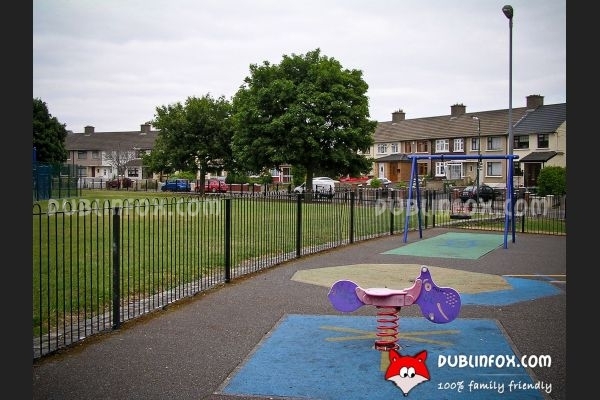 Bluebell Park playground is a small playground suitable for toddlers and a bit older kids too. 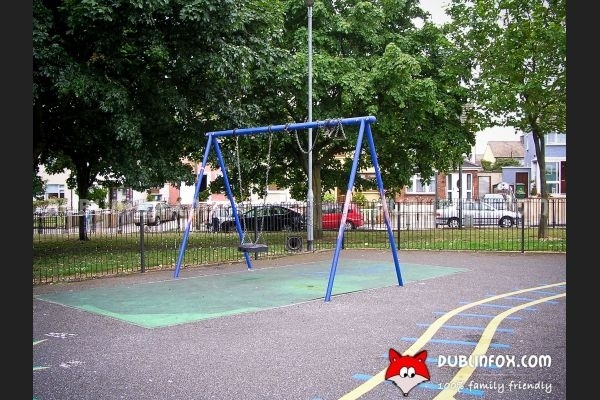 Unfortunately there is only one baby swing and one springer, but at least the slide is safe for the youngest players as well. 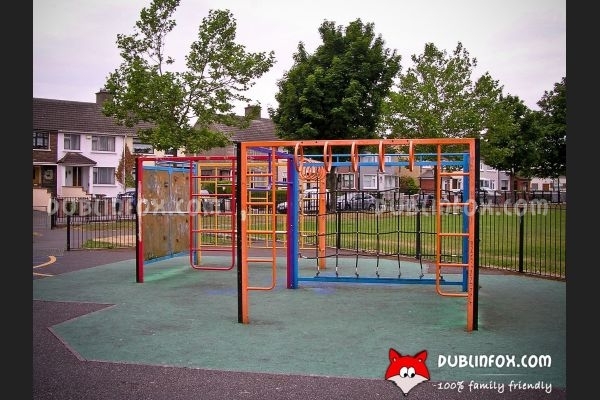 For older kids there are two swings (one of them is removed at present), a big multi play unit with slide and a climbing frame with monkey bars. 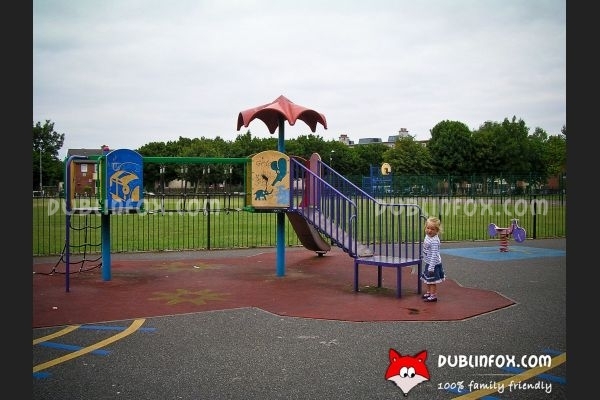 Behind the playground there is a big grassy area to play ball games or frisbee, but as the playground is not the cleanest and tidiest one we know, this park will not be our favourite.